UPDATED: Mon., Nov. 20, 2017, 10:15 p.m.
Couch Slouch is in a festive mood this week – the holiday season is upon us, plus there’s the possibility of massive corporate tax relief trickling down into the rest of our pockets – so let’s celebrate the unlikely stories of two of America’s most unlikely top athletes. One of them, from Greece by way of Nigeria, might soon be the best basketball player anywhere. The other, who most people have absolutely positively never heard of, arguably is the best NFL player ever at his position. I give you Giannis Antetokounmpo and Johnny Hekker. Before we continue, I’d like to give credit where credit is due: To the failing @nytimes. I recently read in detail about Antetokounmpo and Hekker in two first-rate New York Times articles; it reminded me of the breadth and depth of information one can find daily in a newspaper. How can something so irreplaceable be so endangered? Now, I hate to wander further off-topic here – actually, I love to wander off-topic; after all, it’s my column, perhaps the only safe space I’ve got left in a world spiraling madly out of control – but this brings me to the smartphone. How can something so smart make so many so stupid? The smartphone is a marvel of technology – in the palm of your hand, you hold the knowledge of a thousand libraries. Yet the reality is this: If we spent half the time reading books that we spend watching amazing cat videos on smartphones, America’s future would be more secure by at least 10 percent. Oh, yeah – Antetokounmpo and Hekker. 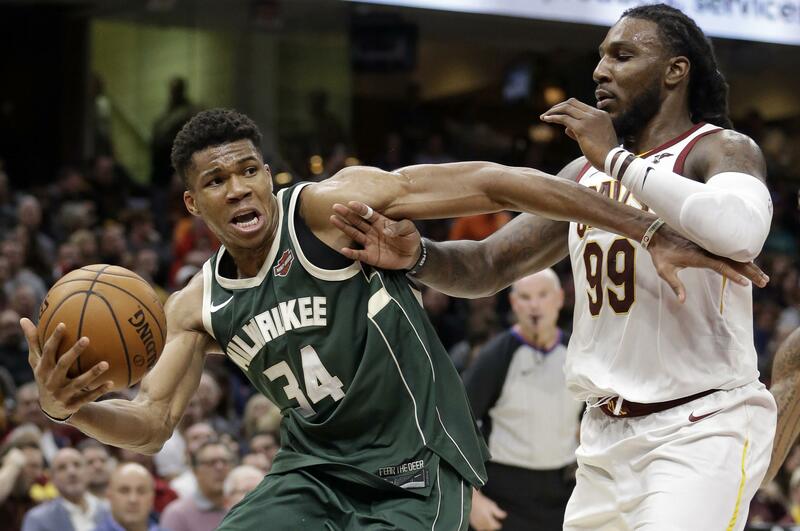 In 2016-17, Antetokounmpo led the Milwaukee Bucks in all five major statistical categories and became the first player in NBA history to rank in the top 20 in total points, rebounds, assists, steals and blocks. Now in his fifth season, each year the 22-year-old has increased his scoring average, field-goal percentage, rebounds, assists, steals and blocks per game. I repeat, each year every one of those numbers has gone up. Yet Antetokounmpo’s numbers do not define him as much as the way he compiles them. Gander a YouTube or two of the 6-foot-11 forward and marvel at his delightful athleticism; he can go from midcourt to the rim – I swear I am not exaggerating – with one dribble. And he still has not reached his potential. At the moment, he is scoring 30 points a game without a jump shot, which is akin to making a great Greek salad without olive oil. But saying Hekker is a punter is like saying Martha Stewart is a homemaker. Last season, with the Los Angeles Rams, he broke his own record for net average (46.0 yards per kick), placing 51 punts inside the 20-yard line with only one touchback; puntologists know these numbers are otherworldly. He changes field position faster than Taylor Swift changes boyfriends. As well as he punts, he fake-punts just as adeptly. A quarterback in high school, Hekker, in six seasons with the Rams, has completed nine of 14 passes on fourth-down fakes, all for first downs or touchdowns. But the Rams’ offense has been so good this season, Hekker sometimes only punts twice a game. So, curiously enough, the better the team plays, the worse its chances of getting its best player onto the field. If nothing else, this gives Hekker more sideline time on his smartphone. He should google Antetokounmpo. A. Toni and I crack open a bottle of Two Buck Chuck (now $2.49) and roast marshmallows in the (gas) fireplace; Daisy, alas, has Pilates on Tuesday nights. A. A life of spiritual fulfillment is not built on a foundation of soccer schadenfreude. A. Appalled, which only scores me 13 Scrabble points (unless I was able to use all of my ill-gotten tiles). Published: Nov. 20, 2017, 10:14 p.m. Updated: Nov. 20, 2017, 10:15 p.m.